The professional cooperation between special services must continue despite the strained relations between nations, the head of Russia’s Federal Security Service said during his visit to the United States. The FSB director emphasized he hopes the current period of complicated relations between Russia and the United States will eventually end. “Our primary task is prevention. There is full understanding of our position on the part of our partners with whom we have met and communicated. And there is also the will to continue and deepen the fruitful cooperation,” the Russian official told reporters. Bortnikov praised US special services for their knowledge of the real situation in hot spots around the world and for their ability to affect this situation. He added that Russia was interested not only in information exchange, but also in joint operations. The FSB chief explained that recent examples of such useful and effective cooperation included the joint work at the 2014 Winter Olympics in Sochi, during which special services prevented several terrorist attacks against Russian citizens in foreign countries. The top security official said that Russia was also interested in cooperation with the United States in the common fight against the Islamic State (IS, previously known as ISIS and ISIL). He added that the existing exchange of intelligence data was already helping to achieve a positive result in this direction. He noted that counter-terrorist forces around the world are equally concerned by the fact that many extremists get training and combat experience in the IS ranks, and can later infiltrate Western countries and Russia. 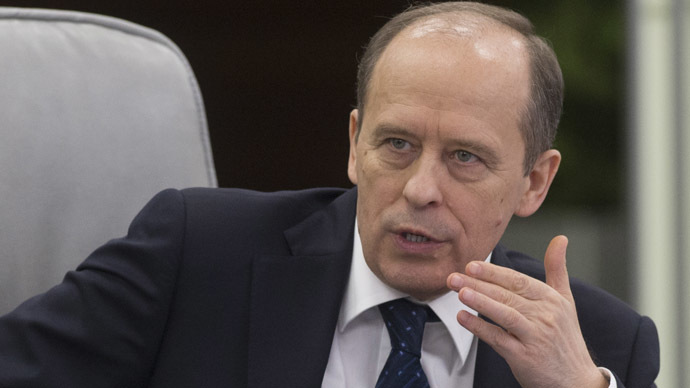 “We must plan our work to prevent their trips and also do everything to prevent terrorist attacks after these citizens return to their home countries,” Bortnikov said. “At the current moment about 100 nations are involved in the conflict taking place in Iraq. The number of foreign mercenaries fighting for ISIL has risen from 13,000 to 20,000 according to our rough estimations,” the FSB director said. The number of Russian citizens fighting in Iraq is about 1700, twice as many as a year ago, he added. At the same time, the FSB director pointed out that “the constant press of sanctions” was harming mutual security. The international conference on extremism in Washington DC lasted three days and united officials from 65 countries and 10 international organizations. The participants agreed to continue their work at the UN General Assembly session in September.